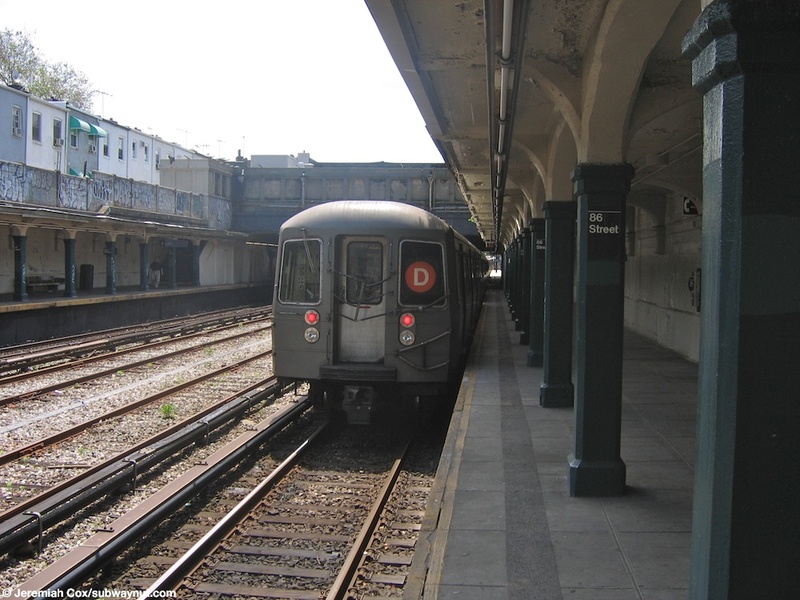 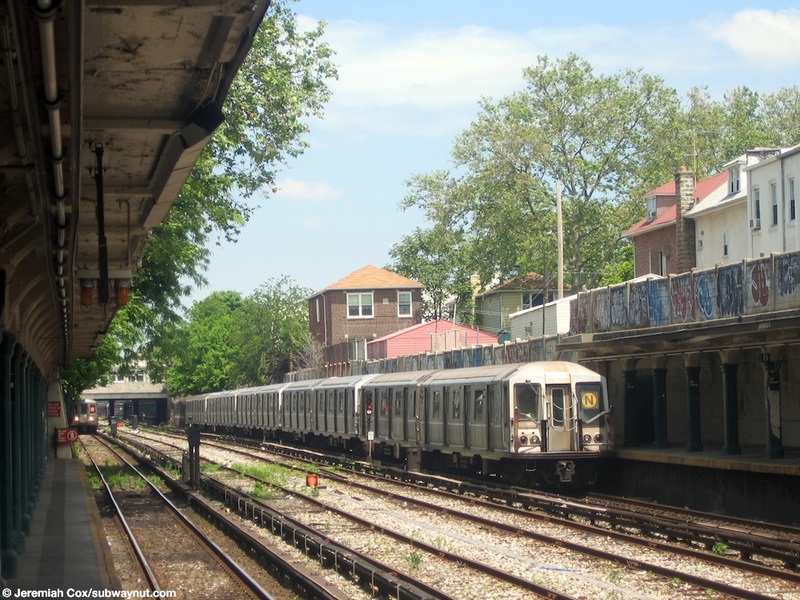 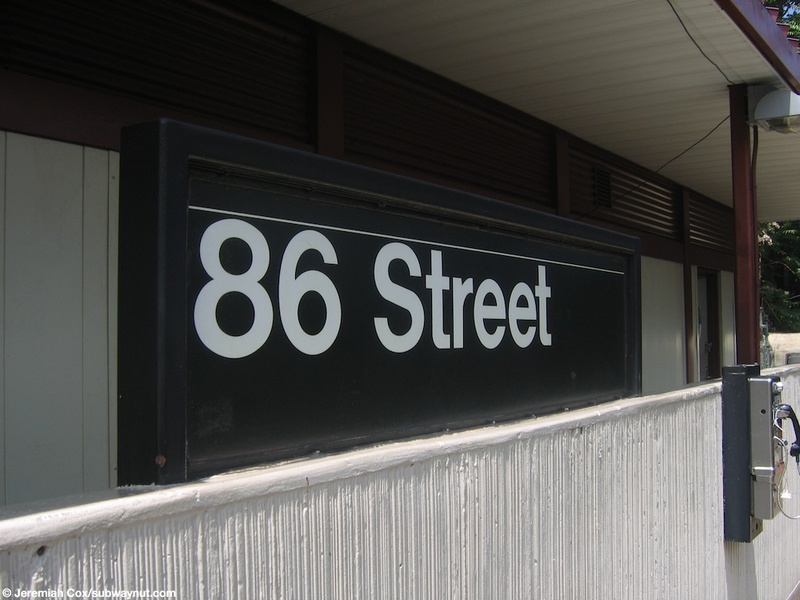 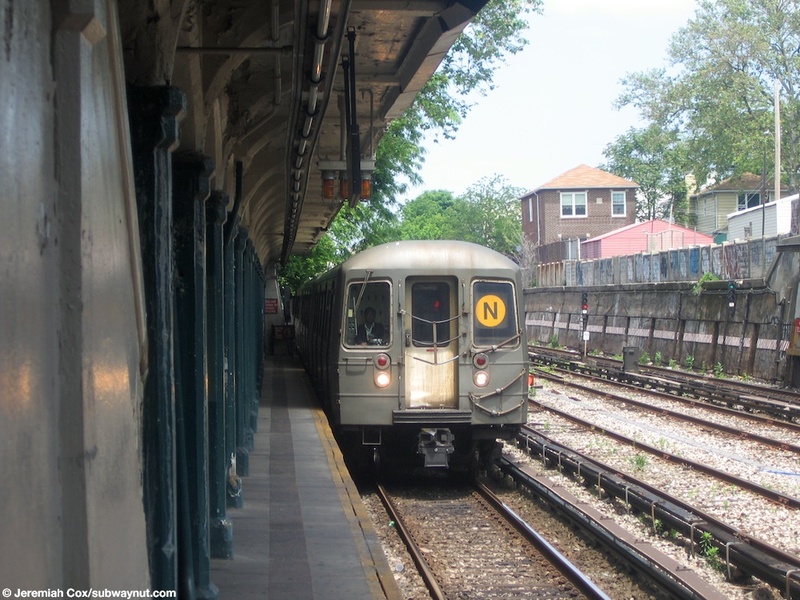 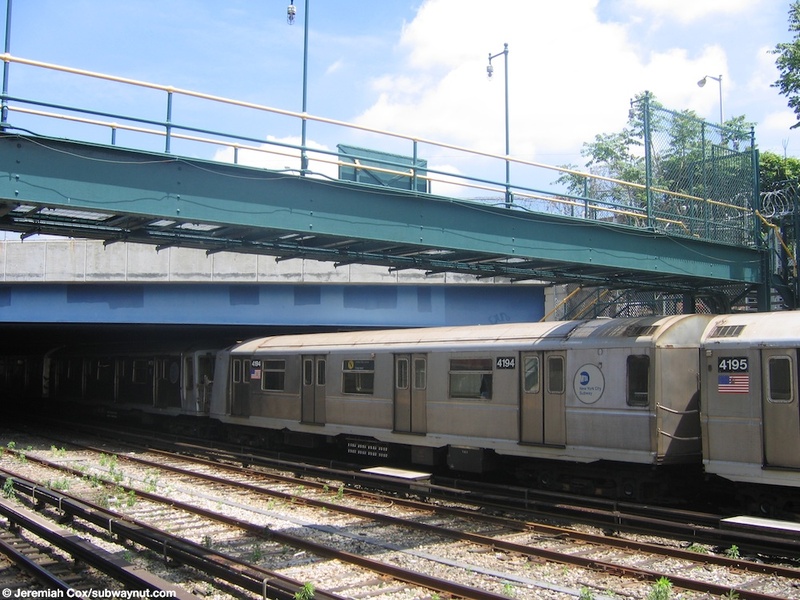 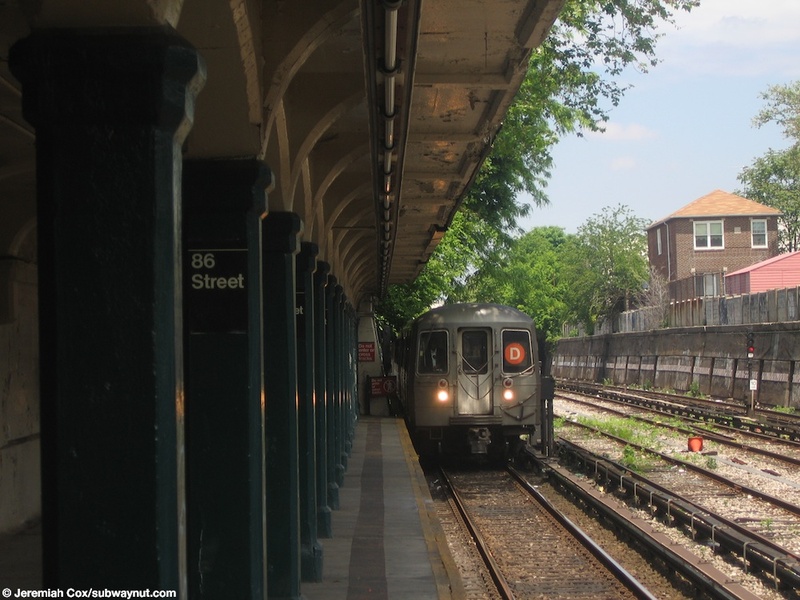 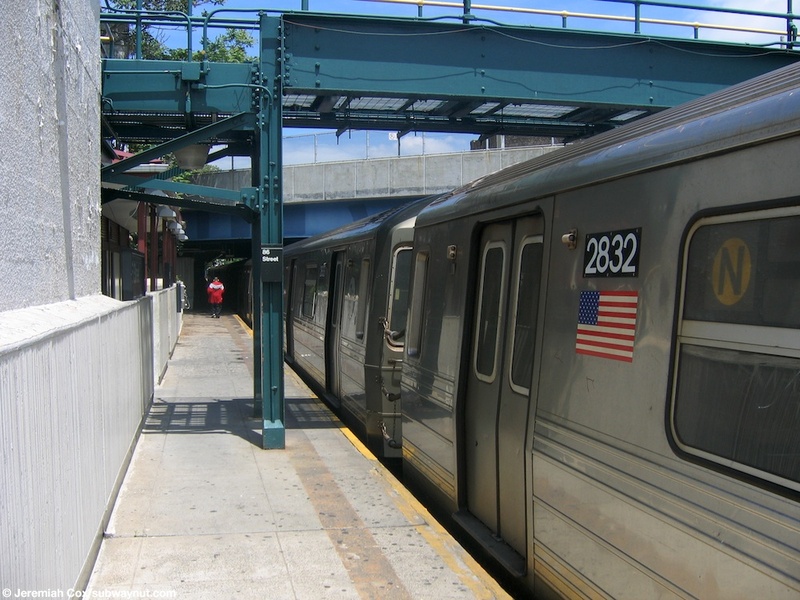 Gravesend-86 Street is the southern most N train station and has been terminus of the line at various times when construction has been undertaken at the Coney Island Terminal complex, depriving N riders a direct trip to the Seaside Subway Terminal. 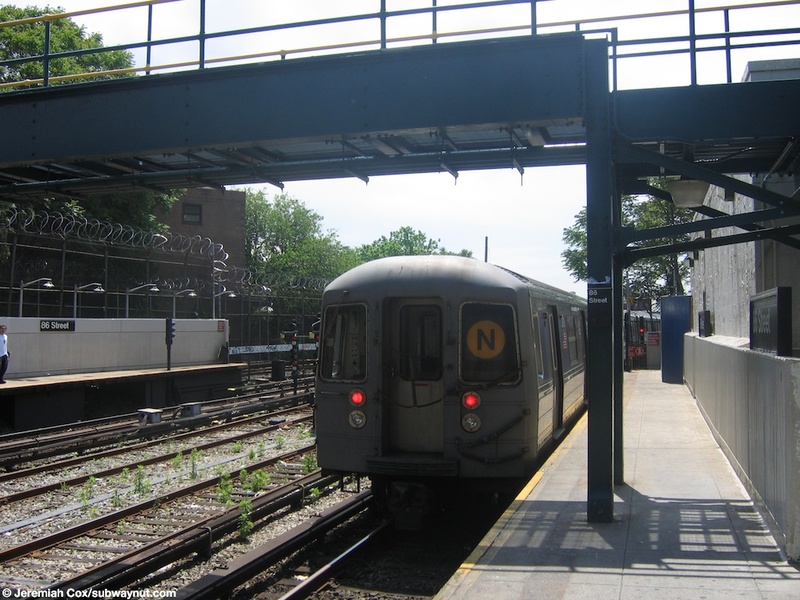 The station is at the northern reaches of the Coney Island Yard as the N train enters its trench. 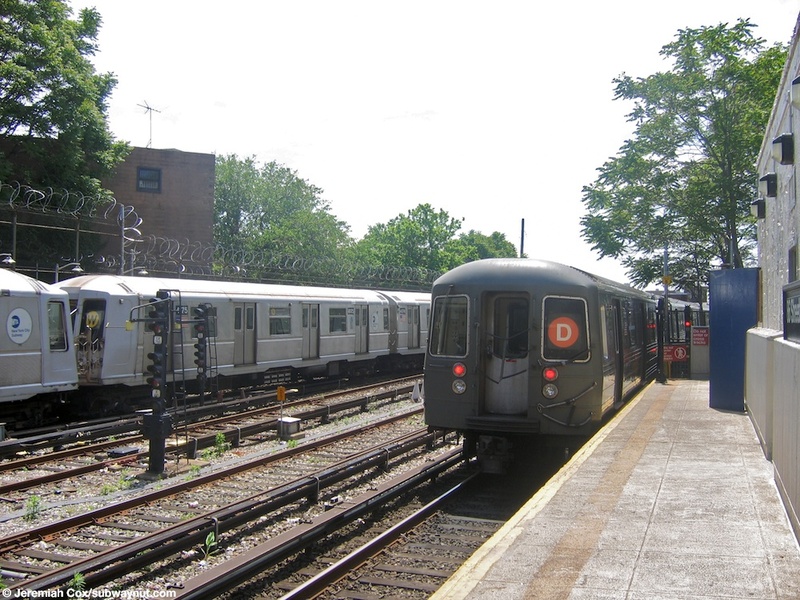 It has the standard two side platforms for the four-track line. 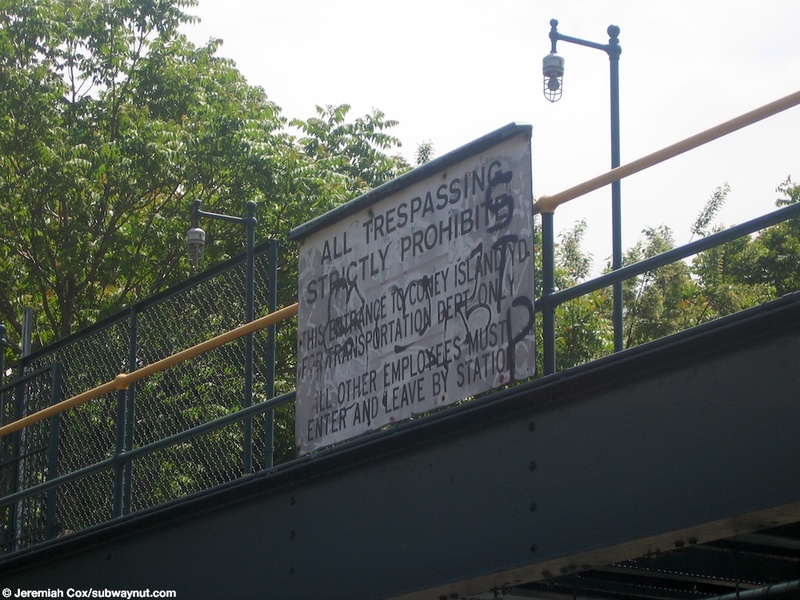 At the southern end of the station the line seems to have left its built up trench area and a pedestrian bridge for employees only provides access to the yard. 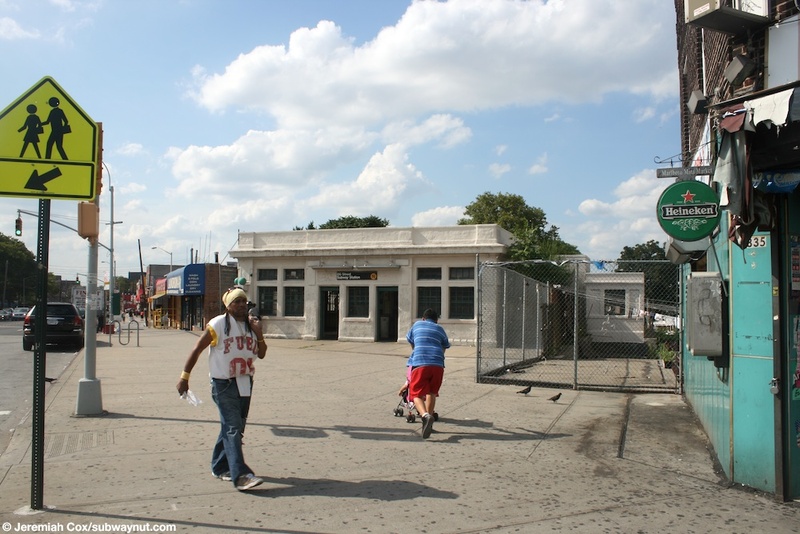 The platform canopy ends here as well and there is barbed wire everywhere preventing easy pedestrian yard access. 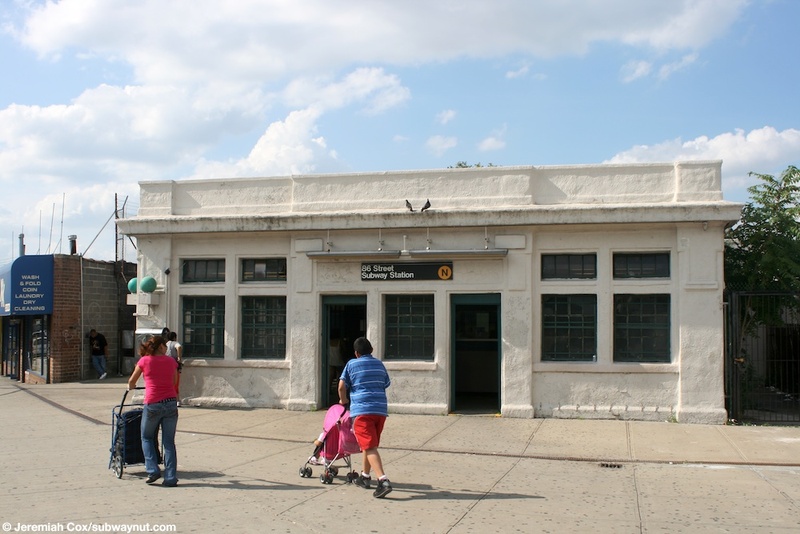 There is also a newer building on the Coney Island-bound platform for non-public uses. 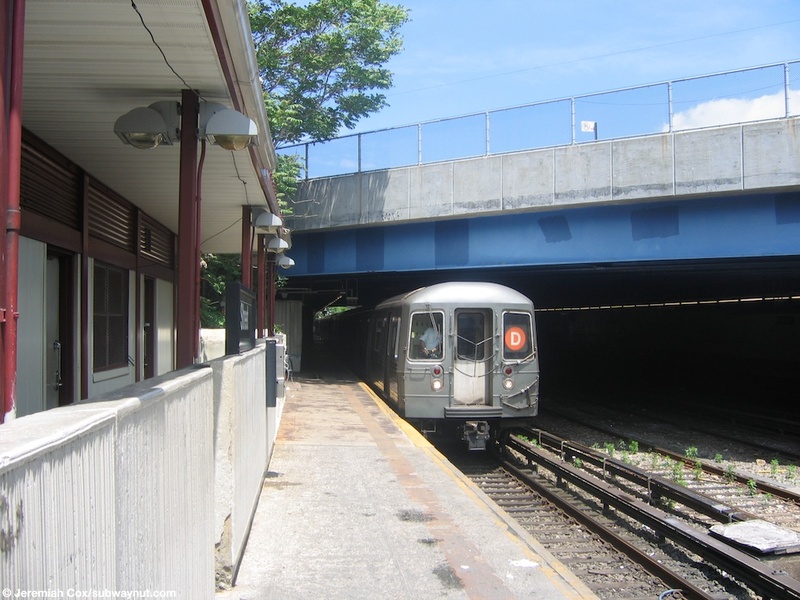 Most of the rest of the platform has the standard dilapidated Sea Beach Line feel although more portions of this platform are located beneath streets, where the open-cut has been covered. 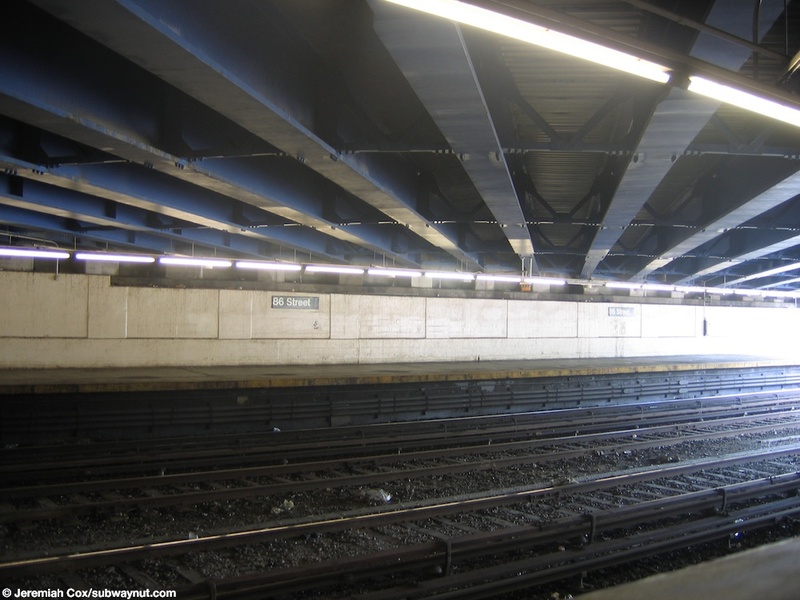 Other portions of the platforms are exposed, and have the standard chipping paint concrete pillars that hold up a canopy. 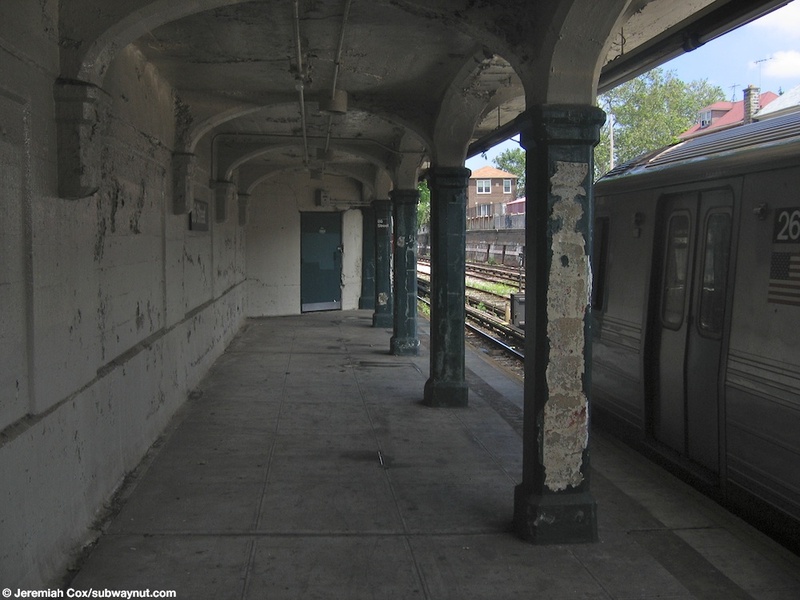 Including a significant section of the platform where there is a column less covering across the entire station for a pedestrian plaza. 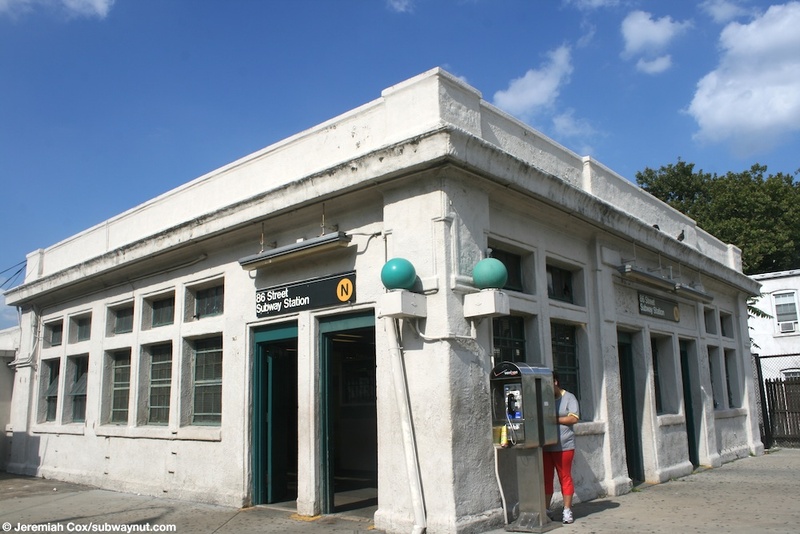 It is in this area where two staircases lead up to passageways that lead into the station house that is in a small pedestrian plaza of concrete set back from the street at an odd angle to the existing street grid because the train line is as well.